NOHMs awarded $1.64 Million USABC Development Contract for the development of NanolyteTM electrolytes for automotive electric car battery applications. Eastman Business Park-based NOHMs Technologies – the acronym for Nano Organic Hybrid Materials – has been awarded a $1.64 million contract in collaboration with FCA US LLC, Ford Motor Company, General Motors Corporation and the U.S. Department of Energy (DoE). The purpose: to further develop the company's proprietary NanolyteTM electrolyte chemistries for improved performance of lithium-ion (LI-ION) batteries used in electric cars. 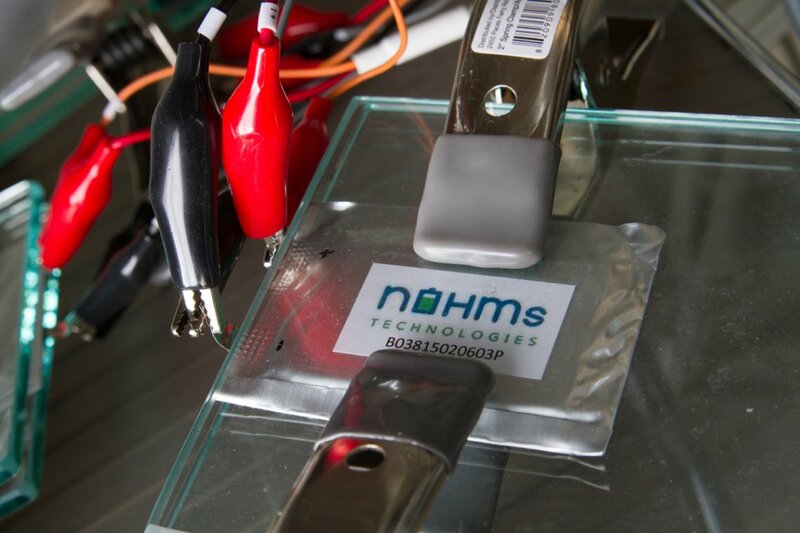 The 18-month program will focus on the further development of NOHMs' broad-based battery technology research into chemistries that exhibit high conductivity and stability for use in 4.6-5.0-volt lithium-ion batteries – the ones used in hybrid, plug in hybrid, electric and fuel cells that power electric cars. NOHMs efforts are consistent with the goals of the United States Advanced Battery Consortium LLC (USABC) and the United States Council for Automotive Research (USCAR) to develop electrochemical energy storage technologies leading to the commercialization, production and mass adoption of hybrid, plug-in hybrid, electric and fuel cell vehicles. “We are pleased to announce the award of this contract to NOHMs Technologies as part of USABC's broad battery technology research and development programs," said Steve Zimmer, executive director of USCAR. “These programs are critical to advancing the technology needed to meet both near- and long-term goals that will enable broader scale vehicle electrification." "Our mission is to provide advanced materials to the global lithium ion battery industry that result in significantly longer lasting, lighter, safer and more sustainable battery systems, said NOHMs CEO Richard Delmerico. “We are partnering with companies that make cells and battery packs. We have a 'recipe' so to speak, that's novel. NOHMs believes the work we're doing will be transformative. Accelerating this technology to the market will require another level of public/private financing and support." So far, the company has been well funded by federal and state grants and private investors, including an initial grant from the U.S. Air Force and subsequently with the DoE, DoD, NASA and NYSERDA. Delmerico stated: “this broad NOHMs grant support is a testament to the strong team and the novel technology approaches under development. The company also was invited and has joined the U.S. Army Center for Research in developing 'extreme' batteries (CREB)." "The materials NOHMs develops allow for improved performance along the key parameters that the industry is looking for," Delmerico said. "Our technology is less costly, uses fewer cells, provides more energy and is safer. When you have higher energy, you have less space required and a less expensive system. Everyone needs longer-lasting batteries and you need safer, higher-energy batteries. We have some solutions that offer a definite advantage." NOHMs started in a small lab in Ithaca in 2010. Once investment money began coming in, the company in 2013 moved to Eastman Business Park. The firm now utilizes 2,200 square feet of lab space and 3,800 square feet of "pilot factory" space at EBP. For more information on the latest announcement, click here. Tagged: Energy Storage, NOHMs Technologies Inc.